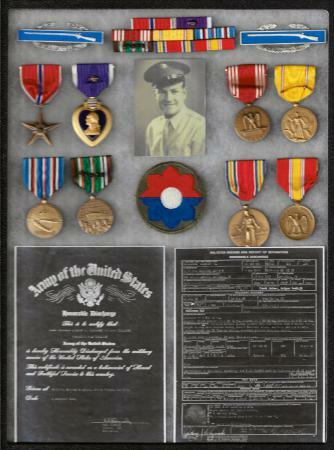 Anthony Olszewski served with the 60th Infantry Regiment, 9th Infantry Divsion during World War II. He participated in three landings - invasions; North Africa, Sicily and Normandy. He received the Purple Heart for combat wounds in North Africa and Normandy, France. Following World War II he joined the US Air Force.